Can Your Organisation Afford To Ignore Employee Wellbeing? Lead to increased performance and productivity. 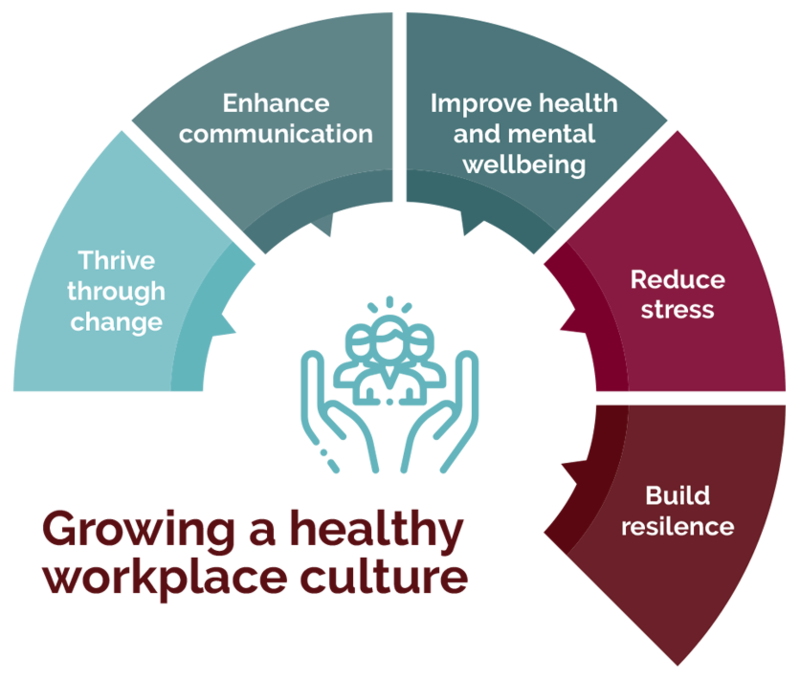 Support your Employees’ Physical and Mental Health to Cope with Workplace Pressure through our Health and Wellbeing Programmes. Our Counselling Service Focuses on Helping Employees Overcome Traumatic Incidents and Bounce Back Faster Through Personalised Counselling Support. Our Executive Coaching is designed to help Foster New Ideas, Increase Retention and Develop a Healthy Corporate Culture from top to bottom. Stress Awareness and Mindfulness Workshops for all Employees to Build Personal Resilience and Enhance Performance. CSG is dedicated to working with organisations just like yours to reduce employee turnover, decrease stress at all levels, and improve the quality of life for employees, in and out of the office. These changes have increased profitability and saved millions for their clients across the globe. CSG can quickly recognise the challenges that executives, managers and employees in your organisation are facing. We have four specific solutions that will not only help nurture your top performers, but will increase output company wide. Modern workplaces can present many challenges for employees. Our service can help your organisation address and overcome them. Excessive workload, Lack of autonomy, Bullying and harassment, Organisational restructuring, Lack of managerial support or teamwork. Resilience starts at the top. Leaders need more resilience to manage their workload and staff, while making sure they have realistic expectations of their teams. Leaders need to be a role model for the rest of the organisation, set standards and embed healthy behaviours in the workplace. In turn, employees will become more resilient, handing their workload with ease, and excelling in your organisation. Our Stress Management and Wellbeing Programmes are Designed to Reduce Stress, Increase Resilience, and Decrease Problem Behaviour in Employees. They say that an ounce of prevention is worth a pound of cure. What that means is that we should all aim to get in front of our problems, as opposed to simply trying to “fix” them after they arise. We help businesses prevent problem issues while building stronger employees. Helping Employees Overcome Traumatic Incidents and Bounce Back Faster Through Counselling and Support. Let’s face it. In business and in life, the unexpected happens. We can never prepare for every situation that occurs. What we can do, is immediately take charge and do whatever is necessary to provide the help, support and guidance needed to make sure every employee affected survives and thrives. Our nationwide employee counselling team are there to support your employees going through a bereavement, a death in service or any traumatic incident. Executive Coaching to help Foster New Ideas, Increase Retention and Develop a Healthy Corporate Culture. Businesses often succeed or fail at the management level. With so many responsibilities, it can be hard for managers or executives to understand which skills they need to improve or focus on in order to motivate their employees and thrive together as a team. We give them the resources they need to succeed. Stress Awareness and Mindfulness Workshops For All Employees To Help Identify and Reduce Workplace Stressors and Increase Productivity. From Executive, to Manager, to Employee, stress is prevalent in the workplace. CSG provides Stress Awareness Workshops to help those at all levels manage their stress levels, and ultimately perform better, leading to increased profitability. Our services include 1:1 coaching, boardroom briefings and workshop programmes. Learn how we can help your business today!